Friends I haven’t seen in a while have mid-semesters, and its a welcome back party tonight, so here we go! Opening Hours: 10:30PM – Unknown (probably 03:00AM). The place earlier was raided by police for an unknown reason, so hence the later opening time. Lockout: Lockout time unknown, but it only applied to people who did not have stamps. Probably 2AM. Occurrence: Once a month or so, on a Friday. These guys just selectively pick a date where most people are free that weekend. Dress Code / Door Policy: Casual ok. Sneakers are ok. It was a mix of this and smart casual. Girls wore mostly dresses. Entry Fee / Cover Charge: Tonight is ladies night. Women get free entry all night. The men have to pay $15 before 11PM and $20 after 11PM. How do these guys make money? Guestlist: redandblueevents@hotmail.com but I was told no guestlists due to the special guestlist pricing already inherent for tonight. However as I was lining up I was asked if I submitted a guestlist. Huh? Was there more than one promoter? I had my name down for VIP passes instead which was ok.
Cloak Room: $5 for all items. Bar Prices / Line: Didn’t use the bar tonight. I think a glass of red Merlot was around $7. 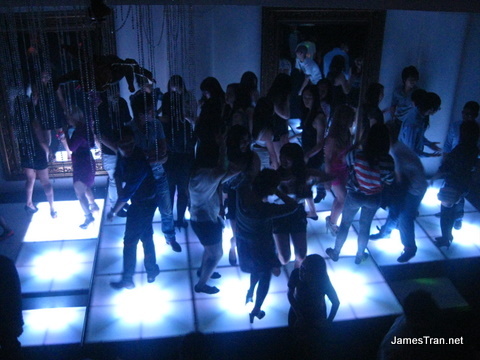 Music Style: The main theme tonight was RnB. 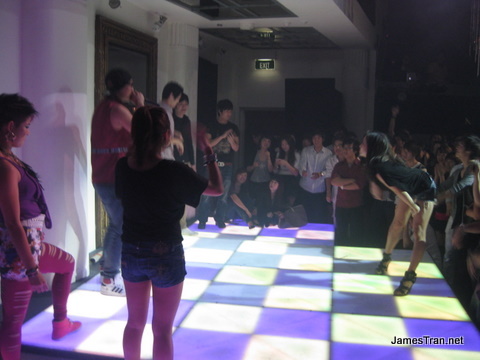 Coming a close second was a whole heap of Korean-Pop songs as well during the peak hours of the night. Everyone seemed to know these songs.. except me. Also a handful of house songs throwing in for mashup. Entertainment: Male stripper in his twilight years and also an iceblock licking competition!!!! More on these later. Atmosphere: Not so hot in the beginning. We sat around just drinking. At around 11:30 it heavily started to pick up as more people were let inside and by midnight it was pretty packed. People began to leave after 2AM and by 2:30AM it was noticably back to around 50 people left. From midnight onwards it was a pretty good atmosphere. Walked by here last month and it looked alright – Asians and RnB blasting out from the doors. Promoters said it was a monthly event, so I decided to check it out next time it was on – finally tonight the night has arrived! I got on the guestlist and brang some friends – so here we go! Occurence: Once a month. Check facebook for details. Dress Code / Door Policy: Standard collared shirt for guys, though it is ok to wear shirts. Stated that no hats were allowed to be worn, but I did see people wearing hats tonight. Entry Fee / Cover Charge: Free before 11pm if on guestlist. $10 before midnight. $20 Otherwise. Guestlist: I found the facebook event and added myself to the Facebook guestlist. Inside: This reminds me of a similar layout to The Bank at Kings Cross. 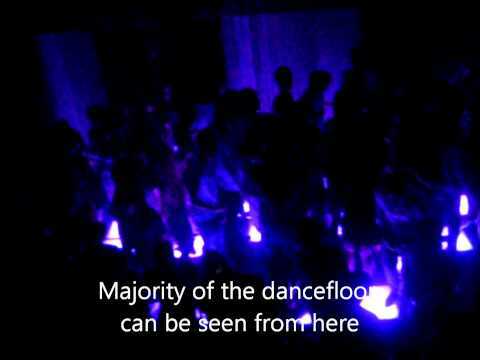 Walk into an open floor to hold about two hundred people. 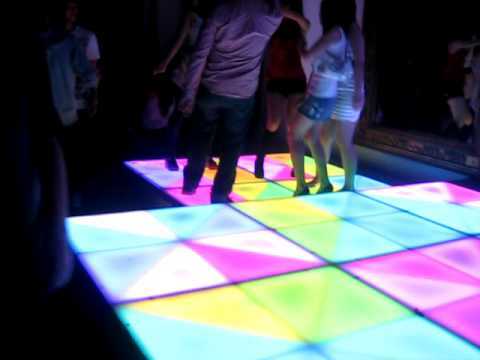 The floor includes an elevated dance platform in which the tiles light up and change colours. Bar to the left. DJ in the far right corner. 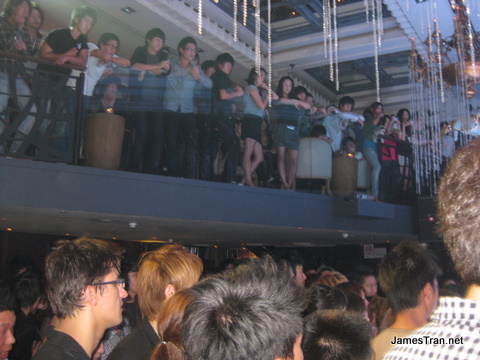 Overhanging the bar is a balcony for private functions and what not, to hold about 60 people. Cloak Room: Cloak room available but was not utilised tonight. Bar: Did not use the bar tonight. Crowd: A rare night where everybody is Asian. Dominantly Korean. A mix of locals and international students. Entertainment: Runway modelling show, and a dance off on the elevated podium area. MC Jayddup to keep things going. Atmosphere: Initially on entering there wasn’t anyone dancing on the podium. Around midnight it picked up quick and stayed pretty busy the rest of the night. It got very packed at around 1-1:30AM. 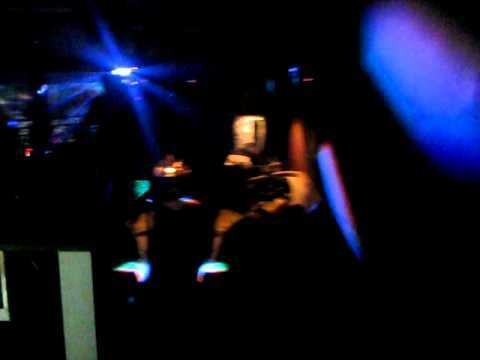 Dark atmosphere adds to the mood and the crowd was pertty into most of the songs. It was pretty good.